It was 1895 when Hungarian �migr� Julius C. Newman founded a cigar company in his family's barn in Cleveland. Today his grandsons Eric and Bobby run what he began, making J.C. Newman one of the oldest cigar companies around. The family business moved long ago from Cleveland to Tampa, Florida, and J.C. Newman still makes its own machine-made cigars, but its handmade cigar brands are now all made offshore. 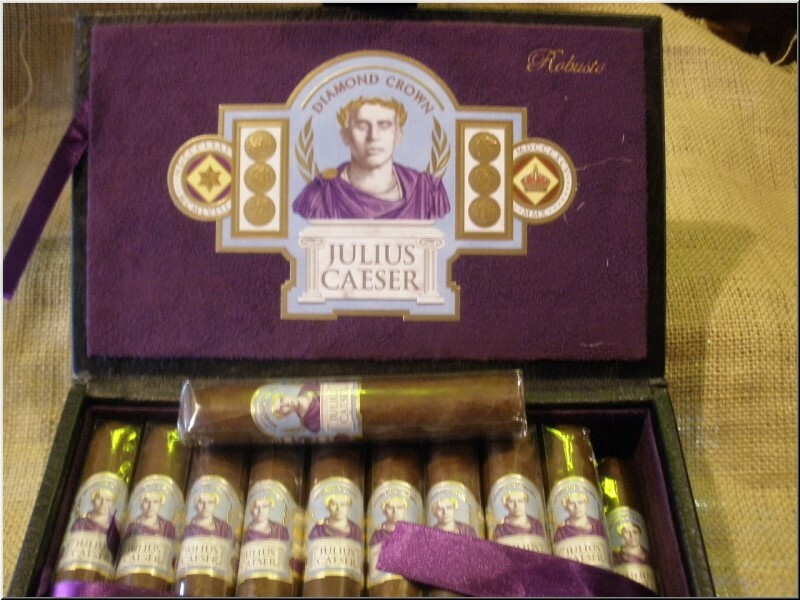 The Diamond Crown Julius Caeser brand is made for the Newmans by their longtime partners the Fuentes, and the cigar brand is named after the founder of the company, a strong-willed man who took the middle name Caeser when he came to America and was told he needed a middle name. Rated 92 and No. 14 Best Cigar of 2014. A core of spicy and peppery impressions is framed by notes of sweet cocoa, honey and black tea. An interesting medium-bodied cigar full of contrasts..